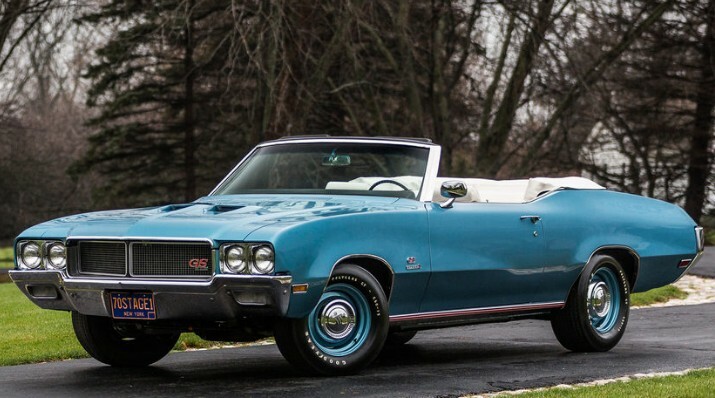 The GS – or Grand Sport – began life as an option package on the Buick Skylark in 1965. It was essentially an engine upgrade and it became its own model in 1967 as the GS. In 1973, once the muscle car era had abruptly ended, the name was lengthened to Grand Sport. The “Stage 1” was the king engine for the GS line and it was introduced in 1969. The 455 Stage 1 is a 7.5-liter V-8 rated at 360 horsepower and an awesome 510 lb-ft of torque. These cars were well-equipped from the factory with just about every bit of GM know-how built into them. That said, this is a relatively low-option car, as it was outfitted for performance and not necessarily luxury. This car was restored just prior to 2011 and is one of only 67 4-speed Stage 1 Convertibles built in 1970. Only 19 are known to still exist, with this being the lowest-option model thought to have been built. It’s the biggest, baddest Buick of the muscle car era and it should bring between $200,000-$250,000. Click here for more info and here for more from Mecum in Indy. Here’s another amphibious vehicle – although it’s much smaller than the Duck above. 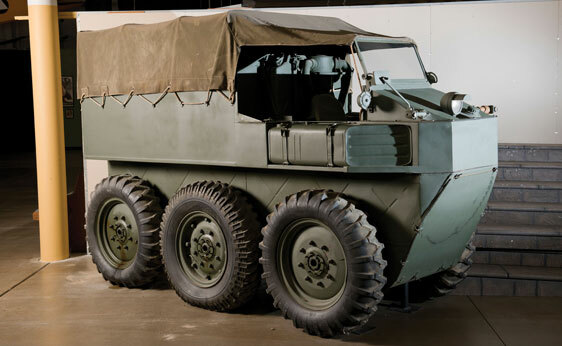 And it’s much rarer, being the only one in existence as the vehicle never entered production as it was “not fit for duty.” It could hold eight men or 1-ton of supplies and has two engines (of 14 horsepower each) and transmissions – one for each side/set of three wheels. This is also how it turned (operating them at different speeds), as you can see how close the wheels are to the body. Unpopular in 1940, this style would become more popular decades down the road on some ATVs. The estimate is $30,000-$50,000. More info here.